Boxing Beautiful is a gardening business specialising in both garden design and garden maintenance. Boxing Beautiful prides itself on offering clients good value for money and creating great results in your garden all year round. Boxing Beautiful looks after gardens in Chiswick, Hammersmith, Notting Hill, Acton, Chelsea, Embankment, Islington and other areas of London. Boxing Beautiful also sources bespoke sculptures for clients in London. Stephanie is qualified with a Garden Design Diploma from the English Gardening School at Chelsea Physic Garden. She also has over eight years garden maintenance experience and holds the RHS Level 1 in Practical Horticulture. Please feel free to contact us for a free quote at hello@boxingbeautiful.com or see us on Twitter and Instagram. 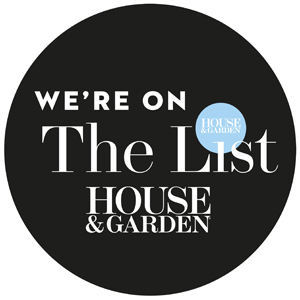 Boxing Beautiful is now appearing in House and Garden's The List.